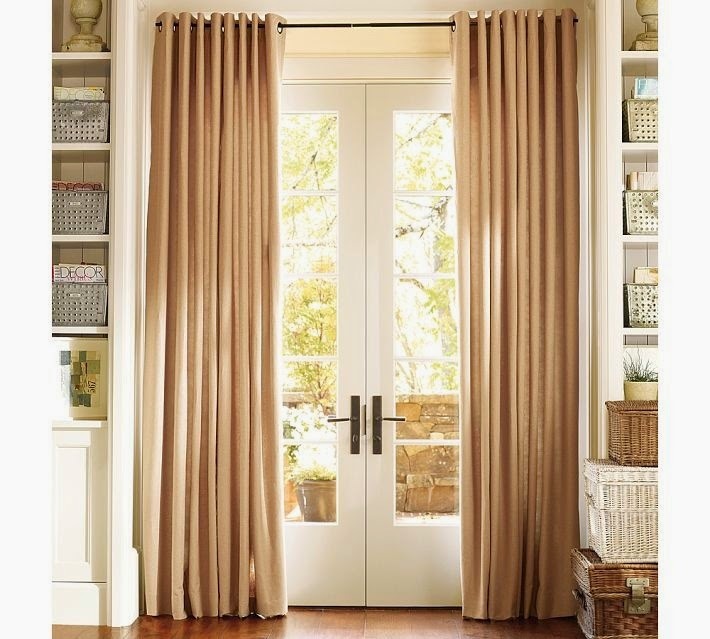 Add both luxury and a casual feel to your den or living room with these grommet styled drapes. Hung on a decorative rod above the French door frame, the drapes kiss the floor without puddling or blocking the doorway. The fabric's tan shade brings out the warmth of the floor and the wicker throughout the room.